With the popularity of the UFC, Mixed Martial Arts is the fastest growing sport in the world. Even if you aren’t planning on being the next Conor McGregor or Amanda Nunes, MMA is a great high-intensity cardio workout. When you can’t make the class at the gym or your “human” sparring partner isn’t available, you can work on your striking with BotBoxer from SkyTechSport. With its array of sensors, BotBoxer tracks your every move and will actually avoid your hooks and jabs. It’s high-speed cameras track the position of your fists, elbows, shoulders, and torso which then causes three electric motors to move the bag away from your strikes. 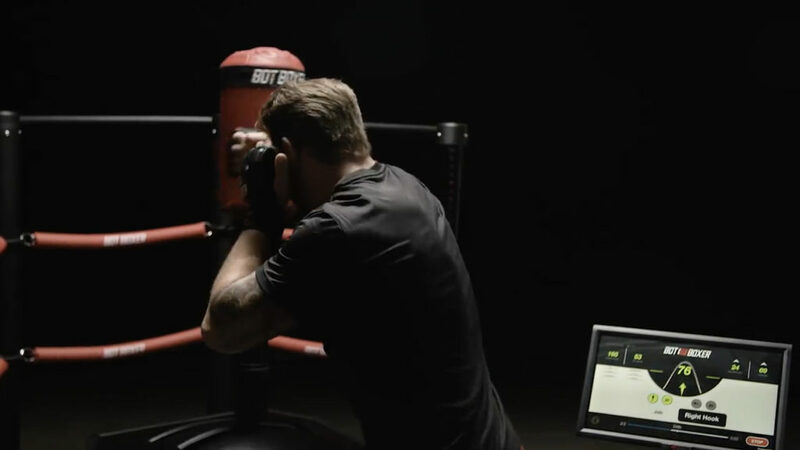 The robot boxing trainer’s sensors measure the force, velocity, and direction of your punches. BotBoxer can even simulate different fighting styles depending on if you want to spar against a speedy flyweight or southpaw from Philly. According to SkyTechSport, this robot boxer is faster than professional fighters. Whereas average human reaction time is about 230 microseconds, and a pro’s reaction time is about 150 microseconds, BotBoxer, when dialed up to 10, can react in just 75 microseconds. 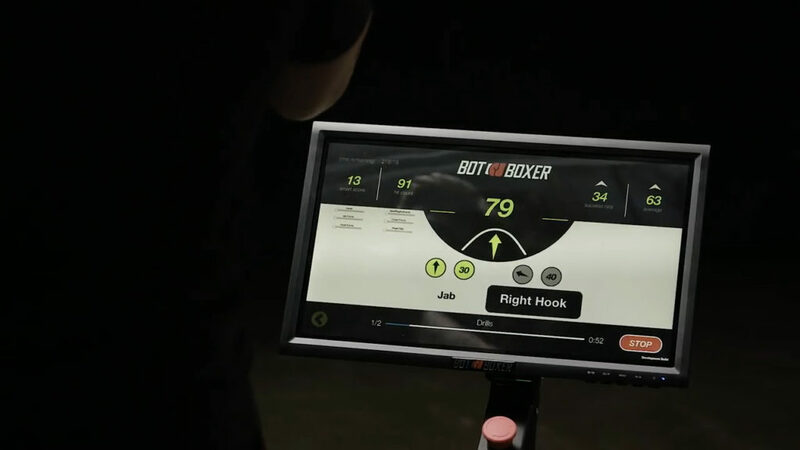 BotBoxer is 100% customizable as you can program different drills and training regimens. 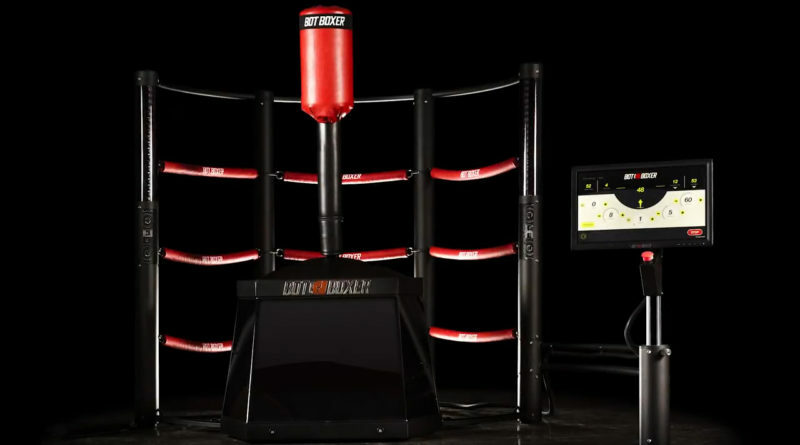 This boxing robot offers up free training, full fight, and drill modes. In the free training mode, you can tailor BotBoxer’s behavior to your level and goals by adjusting its parameters. When you are in drill mode, BotBoxer will be your coach helping to work on your combinations and technique. Full fight mode is a real boxing match. BotBoxer acts like a real fighter with its own strengths and weaknesses. It will even fatigue like a real human opponent. See if you can go the distance or even perform a knockout. In case you want to fight Glass Joe instead of Mike Tyson, it has adjustable skill levels from beginner to advanced. Your blow by blow statistics and progress are saved in the cloud. The best thing is that you’ll be saved the embarrassment of being beaten up by a robot as this robot boxing trainer doesn’t hit back(yet). As far as pricing goes it goes for about $20,000, but the company does offer financing for gyms. The company plans to start shipping BotBoxer in September. Read about robots in hotels or robots in hospitals.